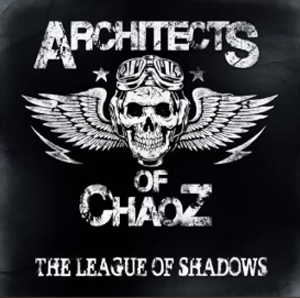 Original IRON MAIDEN singer Paul Di’Anno’s new band, ARCHITECTS OF CHAOZ, will release their debut album, The League Of Shadows, in North America on July 24th via Metalville Records. Joining Di’Anno, the band features Joey Siedl (guitar), Andreas Ballnus (guitar), Christoph Lücker (bass), and Dominik Fox (drums). Recorded, mixed and mastered by Martin Buckwalter (Destruction, Perzonal War, Suidakra), the new songs of the debut, The League Of Shadows, follow the tradition of classic New Wave of British Heavy Metal (NWOBHM) including influences of modern power metal. Check out the "how Many Times" lyric video below. Best known as the first vocalist to record with the iconic band IRON MAIDEN, from 1978 to 1981, in his post-MAIDEN career, Di'Anno has issued numerous albums over the years as both a solo artist and as a member of such bands as GOGMAGOG, DI'ANNO'S BATTLEZONE, PRAYING MANTIS, KILLERS and ROCKFELLAS. ARCHITECTS OF CHAOZ is scheduled to perform at the Wacken Open Air Festival on July 30th. "When Murder Comes To Town"